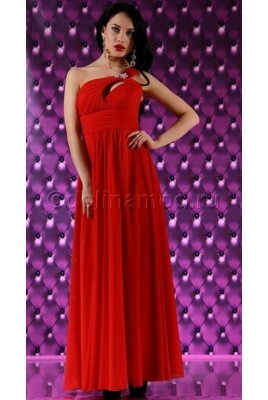 Stunning floor-length dress chiffon complicated drape. The skirt part of the complex cut, decorated on the sides with decorative folds. The product will emphasize Your impeccable taste and give maximum comfort.